At Paul’s Water Works, we've been in business for 15 years. 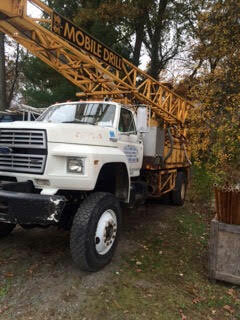 Our owner, Paul, has been in the business of construction drilling and installation of complete water and filtration systems for 42 years now. He once worked for A&W Artesian Wells, which is one of the largest companies in this field. When the company that he worked for 15 years ago was going through a bankruptcy, he decided it was time to start his own business. All he had to his name was a pickup truck and $500, but over time, he built Paul’s Water Works from absolutely nothing into a successful business that now has more than 1,000 customers. From the very beginning, his primary goal has always been to provide top-quality water systems and construction drilling for his customers. Not only does he have years of experiences in the field of water system installation and well drilling, but our staff also has more than 20 years of experience in the welling industry. The majority of the time, however, you'll be dealing directly with Paul on your job. When you call Paul’s Water Works, you reap all of the benefits of our honest work on your well, pump or water system. We'll only be fixing what is necessary for making everything work at peak efficiency. In addition, we'll give you tips on maintaining and operating your systems. With wells and water systems, an ounce of prevention is worth a pound of cure. We want to help you avoid future issues with your well, pump or water system. We have many years of combined experience as well contractors and in the field of water system installation and maintenance at Paul's Water Works. If you’re in North Smithfield, RI, or in the areas of Attleboro, Berkeley, Boston, Braintree, Dighton, Exidor, Fall River, Foxborough, Lakeville, Mansfield, North Dighton, Uxbridge, South County or Taunton, we're available 24/7 to help you with your well or water issues.